Microsoft loves tablets. 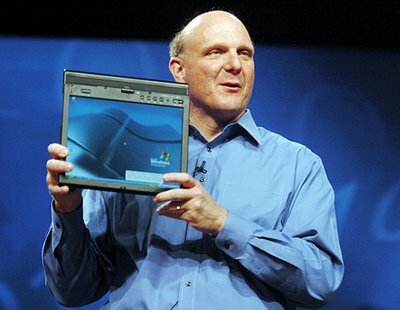 Here is CEO Steve Ballmer holding up the new ThinkPad X41 Tablet, from China’s Lenovo Group, at Microsoft’s TechEd 2005 back in June. 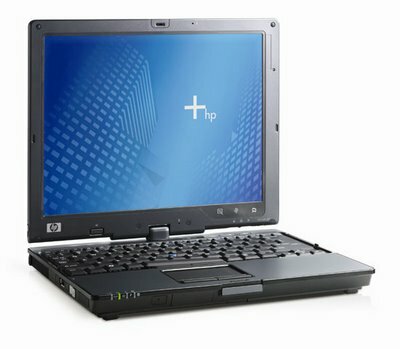 Ballmer was quoted as saying that the tablet will run on Windows XP Tablet PC Edition 2005. 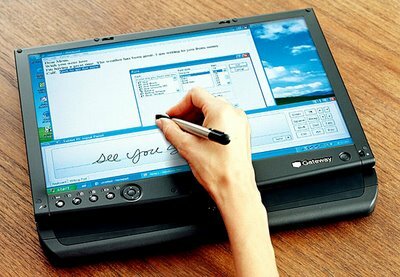 Gateway’s new CX2600 notebook family, starting at $1,349, has a 14-inch wide screen that swivels around on a titanium frame. The 6-pound tablet comes with a flash card reader, wireless networking and slots for batteries that last for up to nine hours. Think tablet PCs are too expensive? Prices for Hewlett-Packard’ s Compaq tc4200, which was first released in February 2005, start at $1,599, which is $44 less than a similarly outfitted Compaq nc4200 notebook. Lenovo’s X41T tablet is the first ThinkPad with a screen that swivels around to make a tablet PC. 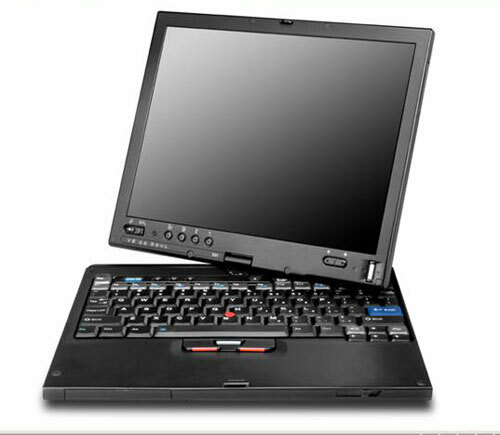 Retailing for $1,899, the tablet is Lenovo’s first offering following its purchase of IBM’s PC business earlier this year. 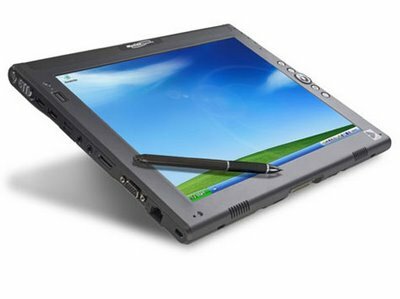 At just 2.2 pounds, the Fujitsu Siemens P1510 LifeBook convertible manages to squeeze in an 8.9-inch wide screen, 1.2GHz processor, 60GB hard drive, 1GB of RAM, Wi-If and Blue tooth. The notebook was released on Aug. 8 and retails for $1,499. 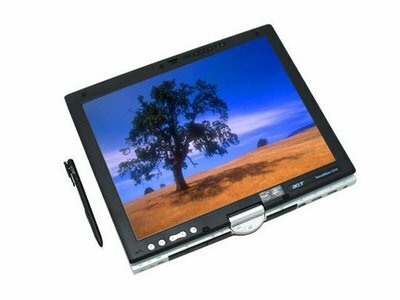 Acer was one of the first computer companies to make a tablet PC. Its fourth-generation TravelMat–the C310–retails for $1,649.99 and features a 14-inch screen, an Intel Pentium M processor, 8.5 hours of battery life (when the battery extender is used) and a two-spindle convertible tablet design. Convertibles may be the new fashion trend, but slate tablets have some sizzle too. Motion Computing’s LE1600 is used by hospitals and insurance agents. 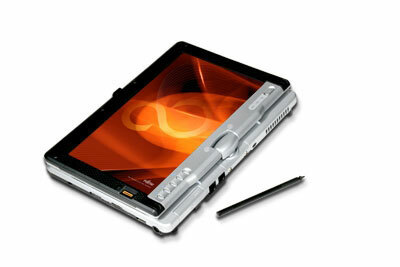 The tablet retails for $2,049 and comes with a 1.5GHz Intel processor, 512MB of RAM and a 30GB hard drive.